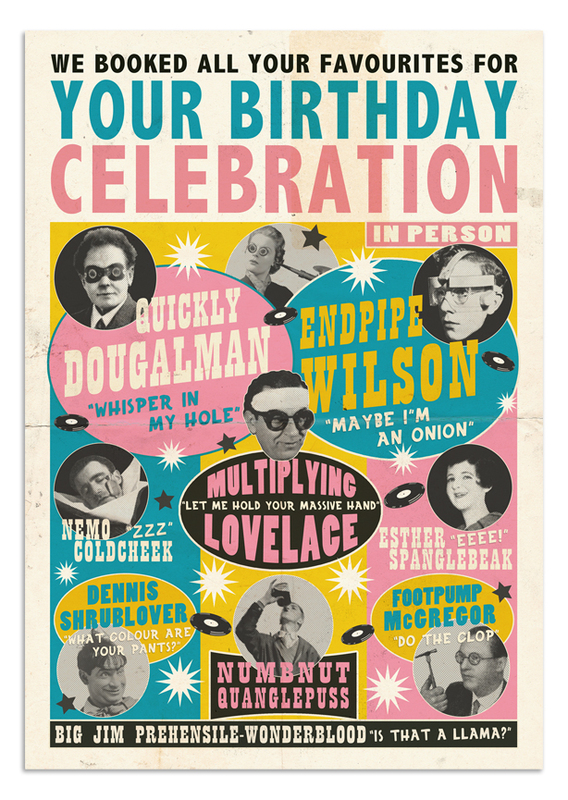 Perfectly complimenting the Pop Chart cards and paying homage to the ‘boxing’ gig posters from the early 60s we present 4 birthday cards celebrating the entertainment arranged for some lucky persons party. 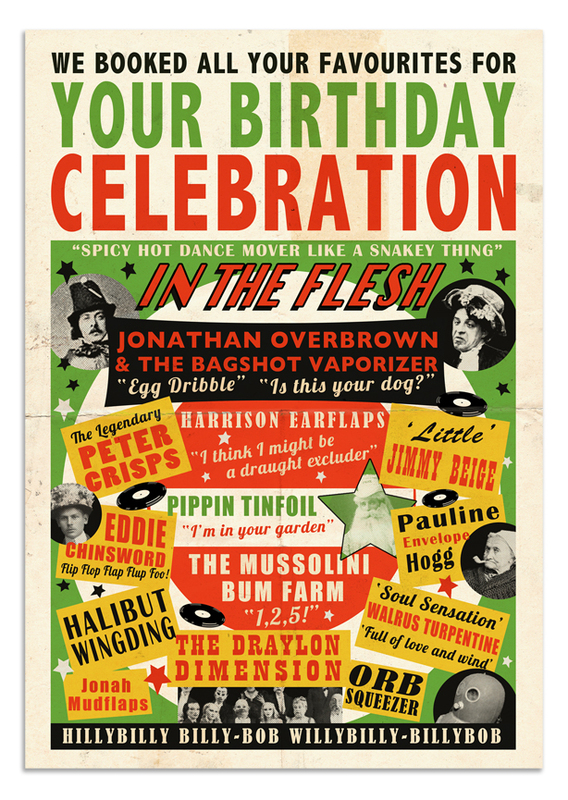 ‘Ruby Grundle’, ‘Walrus Turpentine’, ‘Cuba Twobums’ – what a line up! You lucky people!